Whoever said the only two certainties in life are death and taxes must not have been a luxury shopper, because price increments are also an annual certainty, sometimes more depending on the brand. 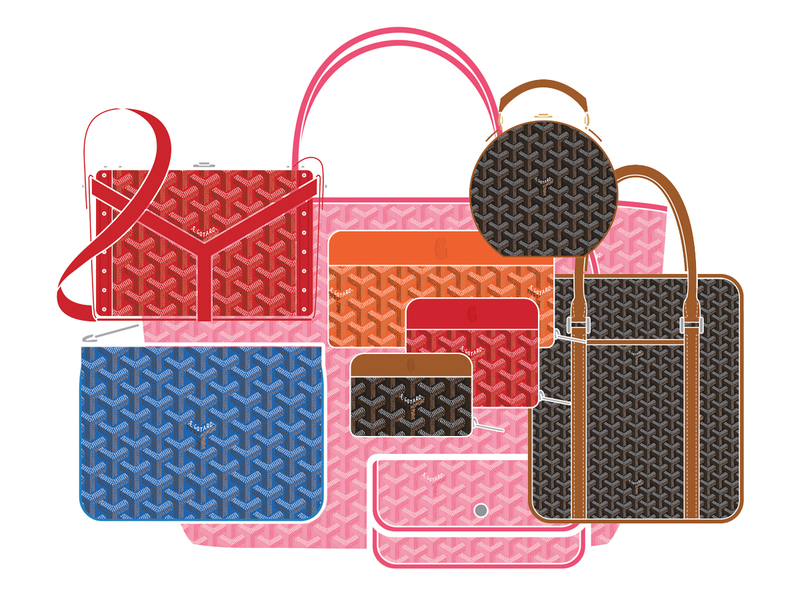 And Goyard is one that has just done that, with effect from 1 February 2019 in Singapore (which should also mean prices across the world for them would have been adjusted as well). The good news? The margin isn’t that huge, roughly between 2% and 3%. The bad news? If you’re looking to buy a big-ticket item. But on average it is still manageable, with a slight increase of between SGD10 and SGD30 for bags like the Anjou Mini and the Cap Vert. The even better news? Some bags like the Alto have had their prices reduced, now standing at SGD6890 for the Black or Black/Tan and SGD8960 for all the other colours. Wait, there’s more. Prices have not changed for bags like the Saint Louis, which is good news for those of you who have always wanted to get it, but have been procrastinating for the longest time ever. In other words, get it right now before prices get raised again. In the meantime, here’s the list of the current 2019 prices available for your perusal (or hit this link to compare with 2018’s prices), with more additions to be included in the coming days. Hi, is there a Sac Hardy PM available in SG store and would you know how much is it? And one more thing, can I do GST refund for Goyard bag, since I am a tourist? Thanks a lot! No, I’m not sure of their stock levels now, so I can’t help there sorry. Yes, you can get back 7% upon leaving the country if you are a tourist. Cheers. Hi, I am personally considering getting the Goyard Senat GM as a daily document case but I was wondering if there are more options out there. Hi, I want to know how much is the Goyard Grenelle (passport cover). Thank you. Same price, no change as last year. SGD780 for regular colours, SGD1010 for special hues.